A dental implant is a type of dental restoration in which an artificial tooth is anchored in the mouth using a special screw. The screw resides within the patient’s jawbone and is usually made from titanium. Because bone tissue mingles very closely with titanium as it heals, this creates a strong base for an artificial tooth. That means you can easily bite, chew, and talk as normal without the use of dental adhesive. When Should Windsor Patients Consider a Single Tooth Dental Implant? A single tooth implant is your best option when you have one severely damaged tooth. Placing a porcelain cap called a crown on a tooth may be effective in some cases, but sometimes teeth are so weakened by trauma or decay that an implant is the superior way to restore function. Your tooth has severe structural damage, like cracking, that makes it hard to chew. Your tooth has become loose due to trauma, decay, or the presence of infection. The two teeth surrounding the affected tooth cannot support a dental bridge. A single tooth implant looks and functions like a natural tooth. The implant will replace the root of the affected tooth, helping preserve the surrounding bone tissue. The very low likelihood of gum recession makes a single tooth implant superior to a dental bridge in many cases. Your dentist in Windsor will help you choose the right option for you. Whatever you decide, it’s best to get expert advice. 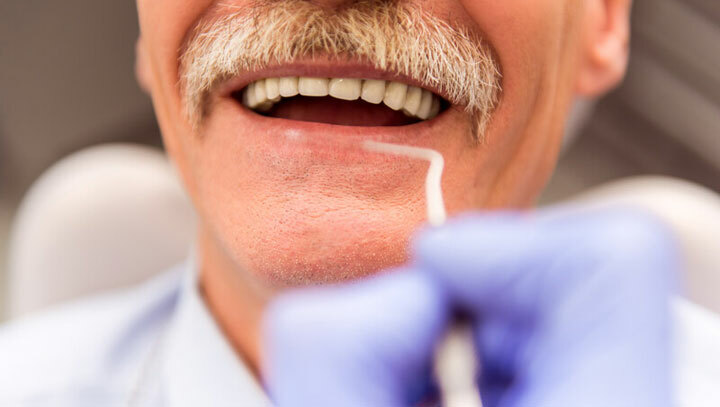 The sooner you get care, the better for the long-term health of your teeth. To find out more or set an appointment, contact Coscarella Family Dentistry today.